Here's a classic... political caricatures. Except, this is one of the few times I've done one! 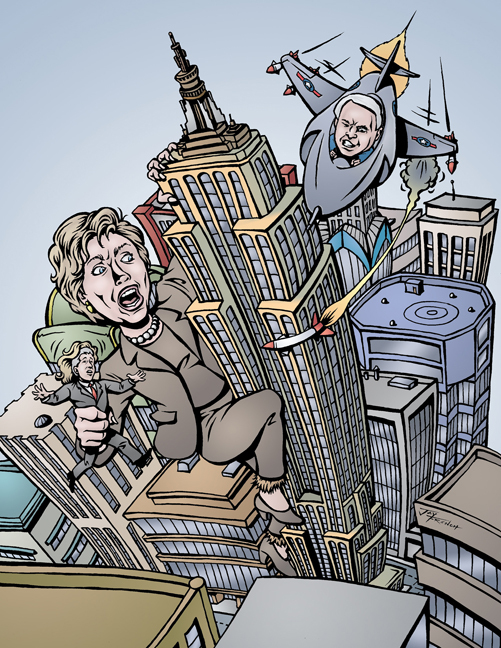 The client was very specific: Hillary Clinton as King Kong on the Empire State Building carrying Bill Clinton, being shot at by John McCain in a jet. The funny part is, I'm not sure which side is being taken here... who's being ridiculed?